Hey guys. Hump Day! I've have bad luck earlier this day as I was taking pictures for several products that I have lined up for review and I accidentally erased them. All 3000+ photos have vanished in one press of a button. :-'( I do have backups of my old ones but the 200+ new photos I just took were all gone along with two hours of work. Unfortunate events aside, let's move on to brighter things with this dual purpose Burberry product. 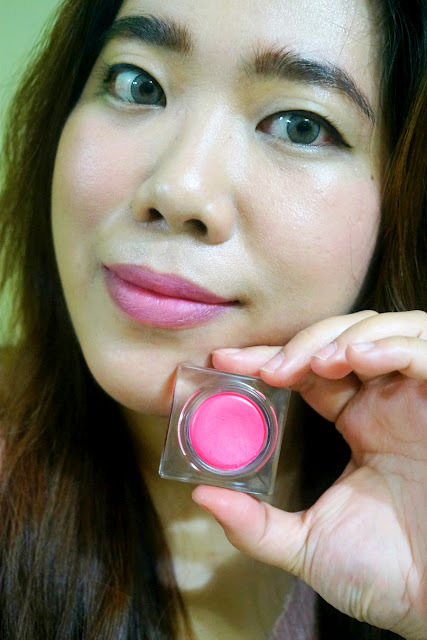 I featured this Lip and Cheek Bloom in a haul last year and I have been using this since. I have also put this back on full rotation in time for summer. Well, technically March should already feel hot but we are still having occasional rain and overcast weather lately so we're still waiting for the sun. 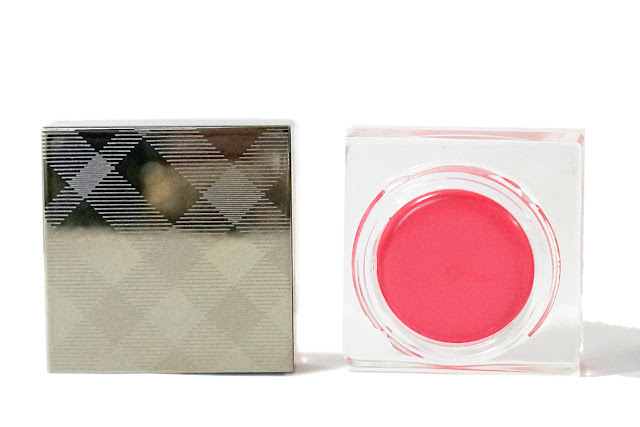 There are six available Lip and Cheek Bloom shades: Rose, Hydragea, Peony, Orange Blossom, Poppy, and Purple Tulip. As indicated from its name, these are designed to be used on the lips and cheeks. I wanted something that I can get most use of so I opted for the coral-ly shade, Peony. 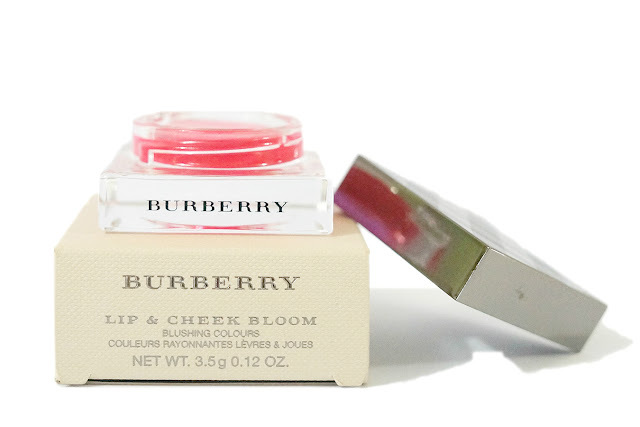 This Lip and Cheek Bloom comes in a hefty glass angular cube jar packaging that feels substantial. 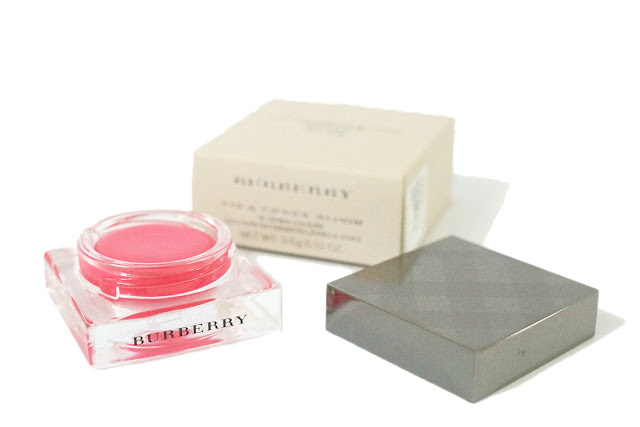 The twist-off gunmetal lid is stamped with the signature Burberry check. You can also see shade color stamped on the bottom of the jar. Overall, it looks beautiful and small and sturdy enough to conveniently travel with. Peony No. 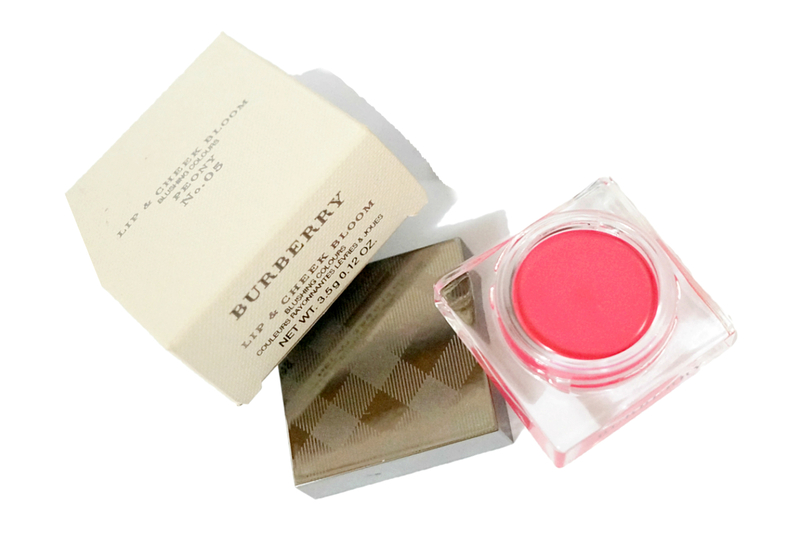 05 can be described as a light rosy coral pink with warm undertones and a soft matte powdery finish. 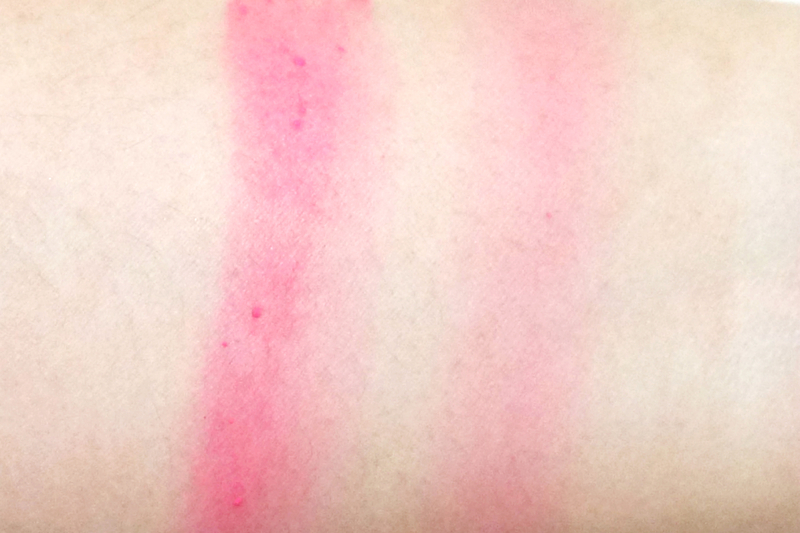 It looks very bright and intimidating on the pot, but when swatched, it comes off as really natural. 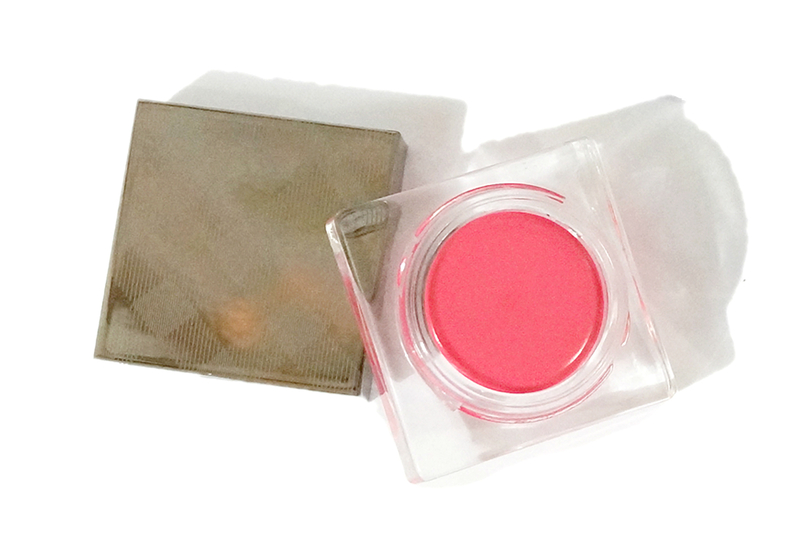 The pigmentation is sheer but very buildable. A single layer will yield a bit of color while in order to achieve full, opaque one you will need maybe thee to four layers. 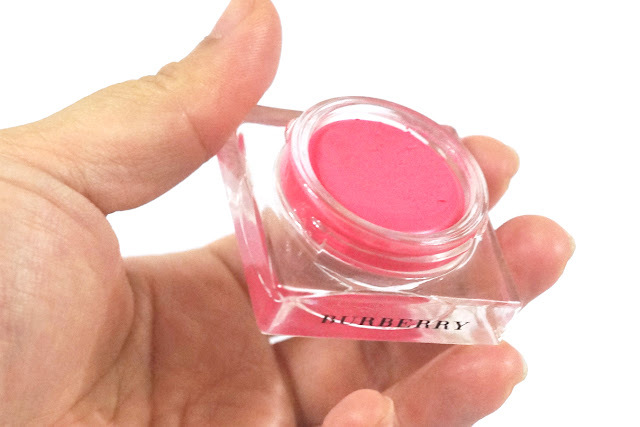 The texture is soft and cushiony, almost silicon-y and it feels light and velvety on the skin. When swatched on my arms, I noticed some pilling, maybe because my skin was dry there. Applying it on my lips and cheeks resulted to better results. 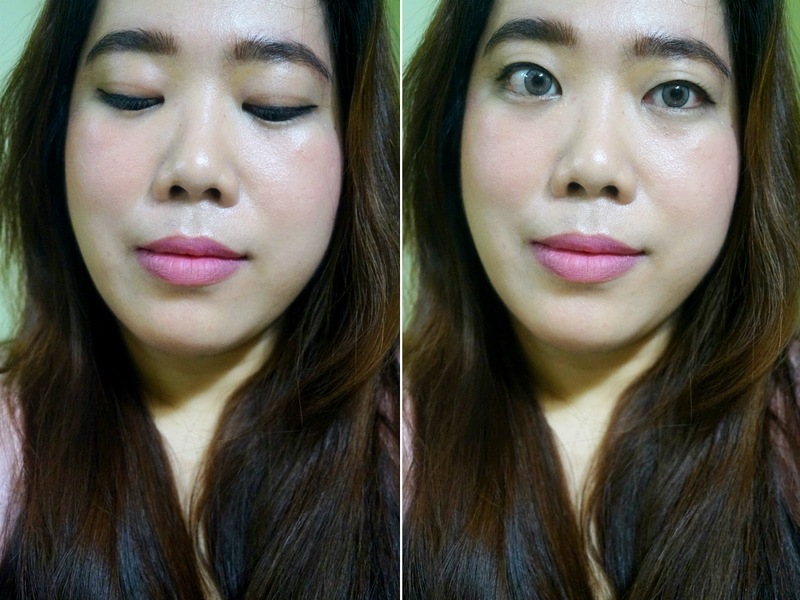 My face is normally oily so it was less troublesome to blend out the product on my cheeks and even on my lips. I find that using clean fingers makes it easier to apply as well as control the intensity of the color. On my lips, Peony looks like a sheer, sweet pink - perfect for Spring and Summer Season. The finish is powdery (and a bit silicon-y) but it still feels comfortable on, if not a tad drying. Because of the silky formula, it doesn't last as long as I want it to - just a couple of hours after it faded gradually. More of the color remained on the center of my lips which I do like as it looks "just bitten" and quite natural. I did not notice any settling nor transfer. On my cheeks, Peony looks like a sheer coral-pink with an airy, natural finish. It feels almost nothing on. 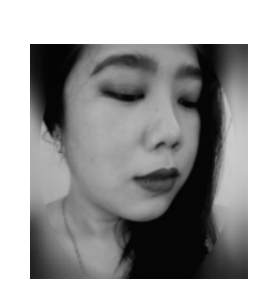 I like how it imparts a healthy flush on my cheeks, with a "soft-focus" and luminous effect. It doesn't look too bright and "clowny" and didn't emphasize pores. The color on my cheeks lasted much longer (vs on lips), up to six hours after it faded significantly. Overall, I'm definitely liking this product more on the cheeks than on the lips, although I do like how it comes across on my lips as a lighter pink that looks sweet and pretty. The velvety and powdery finish means that it will have some trouble adhering on the lips while working so well when applied on the cheeks. It's a good compromise as I tend to reapply lip products more than blushes anyway. 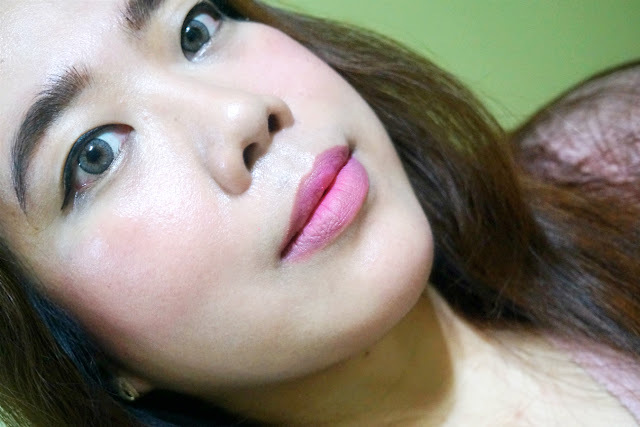 I think these Lip and Cheek Blooms are perfect for low-key days, with minimal eye makeup and natural-looking skin. I would imagine that this would also make an ideal summer makeup - light and fresh-looking.